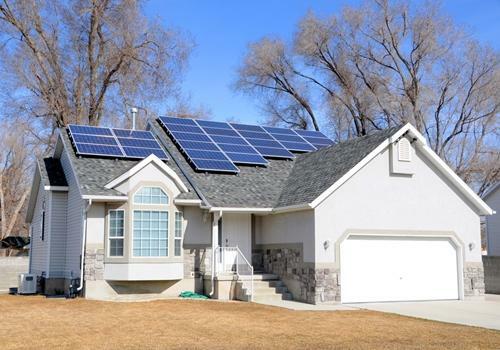 The advantages of a solar-powered home | West Coast Solar, Inc. If you’re like most people, your top priority is ensuring that you and your family are living in a safe and healthy environment. You reduce, reuse and recycle. You buy organic and choose the foods you feed your family with care. So, when it comes time to choose what type of energy will power your home, it only makes sense that you’d want to choose the best. Unlike other types of energy such as oil or even electricity, solar energy is a “clean” form of energy, which means it doesn’t generate pollution or harm your home environment. This enables you to stay powered while keeping the air in your home fresh and the surrounding area free of free-radicals and other noxious particles. When you use solar power to fuel your home, you’re using the power of the sun itself. The sun emits enough energy per second to keep the entire world’s supply of electricity running for 500,000 years, according to the Boston Globe. That’s approximately 400 trillion watts per second. When you choose solar, the first step is to equip your home with solar panels containing photovoltaic cells that can absorb and store the energy produced by the sun’s light. These cells can last a lifetime and don’t require much maintenance from the homeowner. There are no wires to concern yourselves with, and no tanks you need to worry about replacing every ten or so years. For many, solar is a one-and-done deal. If you’re thinking of going green in California by using solar in your home, call West Coast Solar today. These professional residential solar installers can give you all the information you need to take your family into the 21st century.